The synthesis of brute power and track-tuned agility, the Firebolt XB12R puts 103 horsepower and 84 f t. lbs. of torque in its rider's hand. 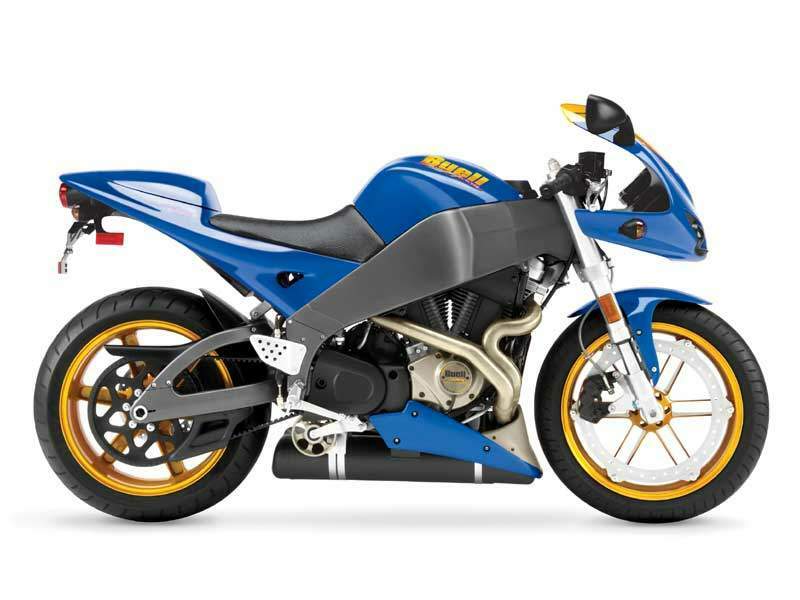 The Buell InterActive Exhaust system utilizes a valve in the dual- chamber muf fler that is controlled by the ECM and adjusts exhaust flow according to riding conditions to smooth torque delivery and optimize engine power. It is available in Midnight Black, Racing Red or Thrust Blue with stunning Translucent Amber wheels and Graphite Gray frame. The Buell XB12R Firebolt is a real Frankenstein’s monster of a motorcycle – but it works. Ancient Harley-Davidson engine mated to a stubby, innovative, high-tech aluminium frame with lots of well thought out touches makes a superb, nimble sports bike. The Buell XB12R may not be the fastest thing in a straight line but awesome in corners and stacks of fun. 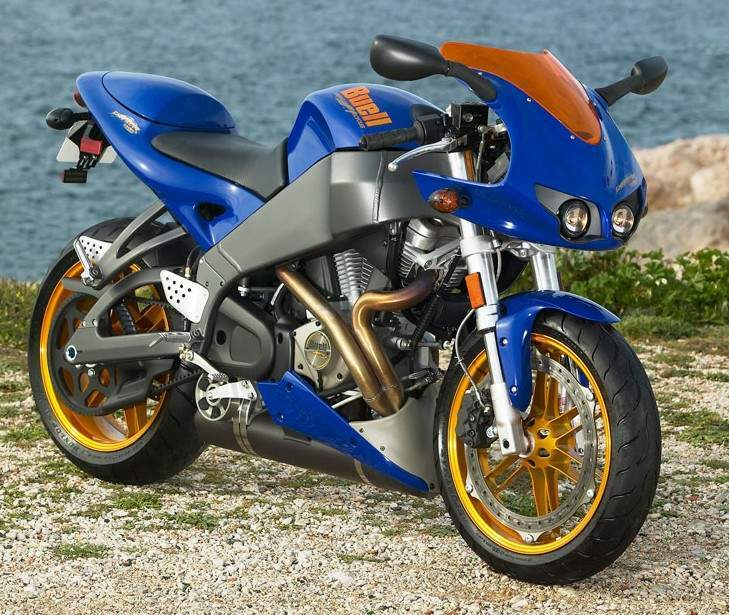 As a sports bike or even a track day tool, the Buell XB12R Firebolt’s handling works. Steering’s so rapid you look and the motorcycle turns. 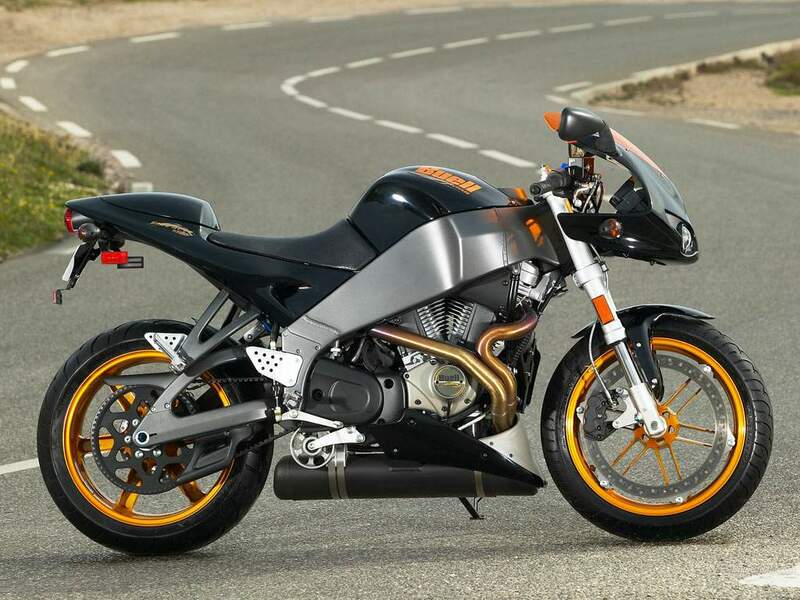 But it manages this without being unstable too – testament that Buell’s innovations work. On the road it can be a handful. Instant power, fast steering and firm suspension make it a committed rather than relaxed ride. Yes the Buell XB12R Firebolt engine's crude and lumpy. But that’s part of its charm. Nothing could be further than the in-line fours the Japanese power their sports motorcycles with. This 1203cc air cooled, narrow angle V-twin is an old-school charmer with plenty of brawny torque. The refinement’s not there or the manic top end power but it’s immensely satisfying to use and it digs in and drives out of corners superbly. Always a Buell bugbear, although they claim issues have been sorted out. Older bikes had major problems, newer ones only seem to have minor niggles. The finish on some parts chucks in the towel at the first sign of winter and electrical glitches are not unheard of. No match for Honda.